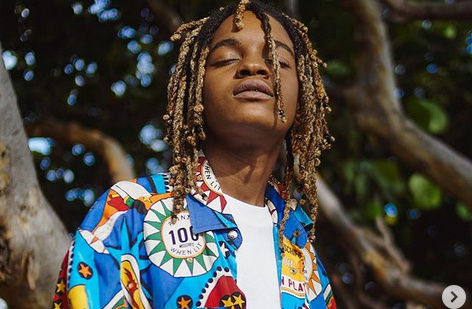 Jamaican singer, rapper and guitarist Mikayla Simpson, popularly known as Koffee is now the youngest reggae artist at age 19 to feature on “Billboard Reggae Albums“. The fast-rising star had released a debut EP, “Rapture”. The EP is constantly making the news while garnering positive reviews since its release. Rapture EP was released March 14. Raised in the Eltham View neighbourhood by her mother, Koffe she sang in the church, taught herself guitar at age 12 and began writing lyrics inspired by listening to reggae singer, Protoje. In 2017 she released her first single, “Legend”, with just her voice and acoustic guitar. A tribute to Jamaican sprinter Usain Bolt, the song became a viral Instagram hit. In 2018, Jamaican reggae/dancehall singer, songwriter, and DJ Cocoa Tea brought her on stage at Rebel Salute. Protoje asked her to perform with him. Chronixx invited her to join him a BBC Radio 1Xtra broadcast from Tuff Gong Studios, and she went on to tour with him in the UK. Her December 2018 single “Raggamuffin” called out gun violence and governmental neglect of the youth. BBC Radio 1Xtra named Koffee one of its “Hot for 2019” artists. Also in 2018, she signed with Columbia Records UK, and Rapture, her debut EP on the label, was released on March 14, 2019.